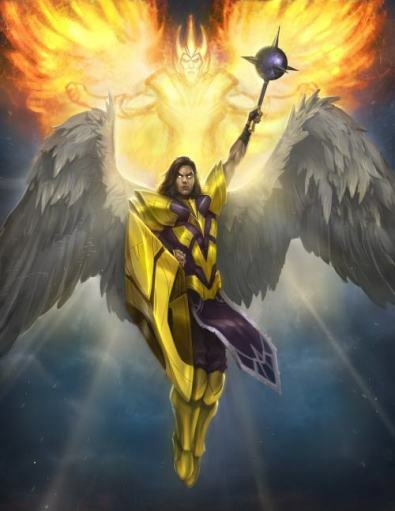 Priests, accompanied by their angels, are the wielders of great spiritual and elemental power in the name of Truth, Light, and Righteousness and they make their homes in the city of Targossas, the Dawnspear. Though no longer are all Priests tied to a specific House, all hold true to the cause of good, for to stray from this path is to diminish as a Priest. In battle, a Priest wields a great mace she summons to inflict damage, break limbs, and more. But the real power of the Priest is the close relationship with her guardian angel. 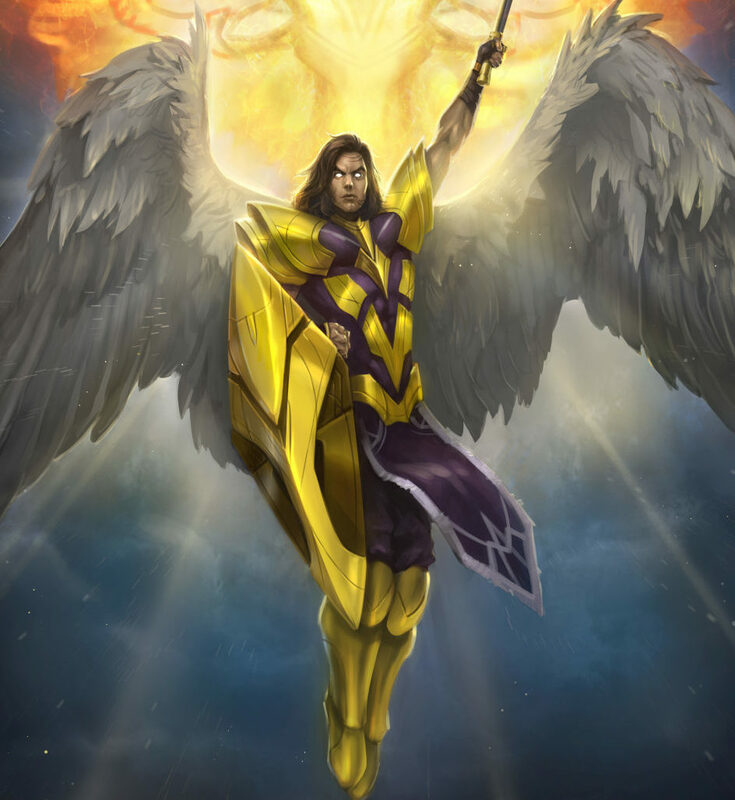 Through this perpetual companion, said to be the angel who reflects the Light of her charge's soul, practitioners of Spirituality gain great power. Her angel can burn her enemies, trace their movements, or even tear out their very souls. The Priest also has access to the Rites of Devotion, derived from the Holy Rituals of the ancient Church, allowing her to resurrect her allies, part rivers and lakes, or fill someone's mind with visions of Hell. Spirituality arms the Priest with a Spiritual Mace and a Guardian Angel, the sword and shield of the Good and Righteous. Whilst the Angel often offers protection to the Priest through various defenses and fortifications, it can also be called upon to absolve a Priest's enemy of his sins, in doing so the Angel tears the soul from its unworthy host, ending their depraved existence. Summon Summon your angel to your side. Touch Assess the power of your angel. Mace Summon a spiritual mace to aid you. Shine Cause your guardian angel to radiate light. Call Call your mace to you when you have lost it. Aura Shield yourself with an aura of protection. Panic Ask your angel to cause terror in a chosen victim. Fortify Boost your angel's power with your own health. Watch Have your angel keep watch on your enemies. Smash Deal a crushing blow to one of your opponent's limbs. Rest Causes your angel to conserve her power. Drain Gain health from your angel. Heresy Summon rage at the heretics and hunt them with fervour. Seek Have your angel report on another person. Mindread Your angel reports to you on local conversations. Push Make the unbelievers kneel. Beckon Draws in people from adjacent locations. Sear Order your angel to sear an unlucky adventurer. Judgement Pass a sentence of death upon the evil. Strip Order your angel to strip a defence from a heretic. Ripples Your angel watches for chaos ripples. Ward Cause fear in most chaos entities. Chasten Deal a mind-numbing blow to an enemy. Presences Searches out all in the local area. Trace Have your angel report on someone's movement. Sap Order your angel to sap the mental strength of an enemy. Care Have your angel care for your physical well-being. Spiritwrack Your angel will torture the spirit of your enemies. Refuge Have your angel transport you to a place of safety. Empathy Have your angel heal you regularly. Power Increase your angel's power through use of mana. Contemplate Perceive the state of another's mental strength. Sacrifice Full restoration of self at great cost to your angel. Absolve Command your angel to tear the soul from your enemy. Rooted in the glorious force of Good itself, the holy magic of the devout renews within the Priest (and Paladin) with each new sunrise, allowing them to perform punitive feats and sacrificial miracles. Enlightenment Look into the soul of someone. Hands Lay hands on a person to heal him. Parting Water will pull apart to make way for your blessed self. Preaching Show an adventurer the beauty of belief. Truth Dispel illusions with the power of your devotion. Rites List what rites are active. Sustenance The Gods will provide for you. Inspiration Gain an infusion of divinely-inspired strength. Bliss Give an adventurer a glimpse of paradise. Pilgrimage Travel to someone in a Rite of Pilgrimage. Chaoscalm Attack the chaotic nature of a chaos entity, pacifying it. Visions Give peace of soul to someone. Warding Drive your enemies off with overwhelming fear. Force Make an adventurer follow your wish. Piety Bind those around you with the force of ultimate piety. Hellsight Give an adventurer a glimpse of Hell. Dazzle Confuse and dazzle an opponent. Demons Summon demons to torment the unrighteous. Allsight Gain insight into all movement into and out of holy areas. Sloth The sin of sloth is yours to condemn. Healing A powerful healing ability. Well-being A rite to keep those nearby fed and rested. Convocation Call to you someone in a Rite of Convocation. Revitalisation A rite to heal health and mana. Deliverance Deliver a target unto you. Cleansing Rid your enemies of their unclean aspects. Reclaim Reclaim one of your rites. Prayer Pray for the salvation of your congregation. Banishment Send the unholy Chaos entities back to their hell. Fasting Rob them of their will to eat. Resurrection Grant life anew to a slain believer. Bloodsworn Bond with another via a blood oath. Penitence Condemn the unfaithful to eternal penance. Inquisition Punish the faithless for their unholy crimes. To heal with a touch, to remove afflictions with a word, to purify and make whole with a simple gesture - this, and much more, is the Priest's art of healing. Elixirs created from the plants of Sapience provide some relief, but elixirs run dry, and their containers decay. The Priests of our lands practice the art of healing without need for such. Calling upon channels of elemental power, they cure many of the afflictions that plague the mortals of Sapience, by virtue of their own spiritual essence. From common blindness or paralysis, to the subtler afflictions of shyness or disloyalty, to phobias and even epilepsy - these maladies and many others are removed in an instant by the power of the Priest in the skill of healing. Diagnose Gain information about what ails you. Heal Heal yourself of your various afflictions. Succor Heal and diagnose others. Frostshield Bless another with a Frost Spiritshield. Willpower Give the blessing of increased willpower regeneration. Thermalshield Bless another with a Thermal Spiritshield. Earthshield Bless another with an Earth Spiritshield. Lash Turn your Spirit channel against them. Endurance Give the blessing of increased endurance regeneration. Disrupt Wield elemental energy against your foes. Bedevil Channel your afflictions into a victim.